RALEIGH, NC -- A new cocktail bar and Southern barbecue spot has opened for business in the neighborhood. The new arrival to Raleigh, called Southern Charred, is located at 510 Glenwood Ave. This new barbecue joint features an array of comfort food dishes, salads, sandwiches, sides, and more. On the menu, look for options like pulled pork, smoked sausage, ribs, sliced brisket, and pulled chicken. Each platter comes with house-made pickles, hush puppies, and a choice of two sides. The side dishes include items like collard greens, baked beans, sweet potato tots, mac and cheese, and potato salad. With a 3-star rating out of 26 reviews on Yelp so far, the newcomer has seen a solid response. Sincere W., who was among the first Yelpers to review the new spot on November 11th, said: "My partner and I showed up on a Friday around 8-ish, the first week of their opening. The atmosphere looked and turned out to be very relaxed. We order pulled chicken and pulled pork." 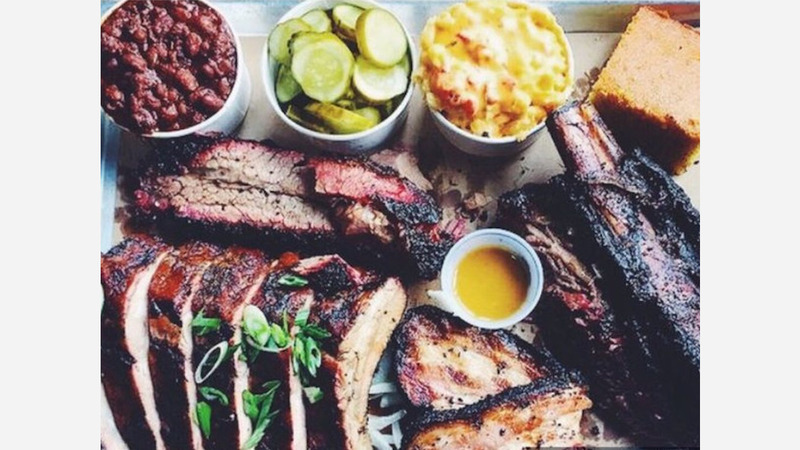 Yelper Samantha K. added: "This trendy new bbq and bar definitely had a great atmosphere. I went on a Friday night and didn't have to wait to be seated, which is really rare in Raleigh...They even give you games at your table to pass the time while your food comes out. Head on over to check it out: Southern Charred is open Tuesday from 5pm-11:15pm, Monday-Wednesday from 11am-2pm, Monday and Wednesday from 5pm-11pm, Thursday-Saturday from 11am-2am, and Sunday from 11am-11pm.